Create something unique for your garden. 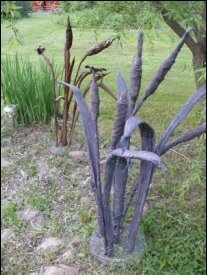 This sculpture stands 3-1/2 feet tall and is built on a concrete base, using rebar and welding wire for stability. No previous experience required.